Pamela Milliken, head of primary care out of hours, revealed the worrying trend and a recent meeting and said GP recruitment had caused a real anxiety for the health board. About a third – 35 per cent – of the local GP workforce are aged over 50. Ms Milliken said bosses are looking at ways to entice older GPs to remain working and reduce their hours rather than retire. A local GP practice workforce survey also showed a high number of practice nurses, manager and admin staff would reach retirement age before 2027. Despite the lack of staff, GPs are in demand with consultation rates shooting up by seven per cent since 2015. Recently there has been some success in attracting new talent with four new starters last year and eight appointed in August. 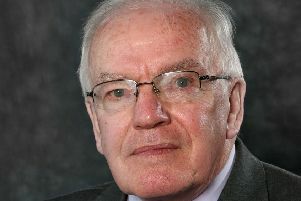 East Ayrshire council leader Councillor Douglas Reid questioned what impact Brexit would have on GP recruitment and was told that the issue was being assessed. Ten practices in Ayrshire needed extra support to ensure they could treat patients after losing GPs since 2016. The report submitted to the Integration Joint Board said: “Extensive work has taken place to support GP Practices experiencing difficulties. This is key to ensure that the population of Ayrshire and Arran have the required access to general medical services. The GP practices in Ayrshire cater for about 386,000 patients.